All-natural astringents have a wide variety of skincare benefits: they tighten pores, make skin smoother, clear away dirt and grime, and even help to reduce irritations and infections. Below are some of the most popular natural astringents, as well as tips on how you can add them to your skin regimen. An astringent is a cosmetic that cleans the skin and constricts the pores. Benefits of using an astringent! Closes open pores and prevents dirt from entering pores. Heals pimples and prevents scarring. Who should use an astringent? Anyone dealing with excess facial oil or problems with acne should consider an astringent. Do not use an astringent if you have dry skin. Many men’s aftershave lotions contain astringents. 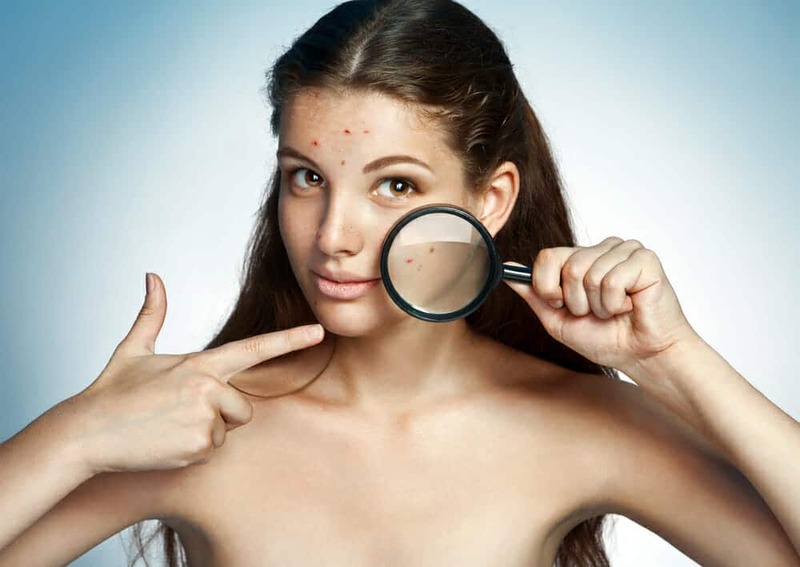 The number one cause of acne is bacteria in your pores. 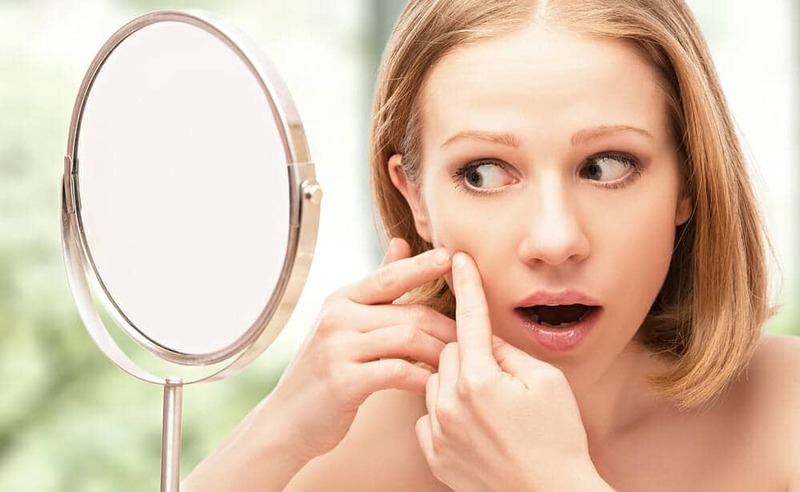 Your pores are loaded with dead skin cells, oil, dirt and bacteria. Astringents can combat all of these problems. What is the proper way to use an astringent? Cover entire face – Slight tingling is normal – You can use two or 3 times daily – Do not allow your skin to be overly dried out. You may want to start with a mild astringent or one with a lower alcohol content first. Then if that is not eliminating your oil problem increase the amount of alcohol in your astringent or increase the number of times you use. 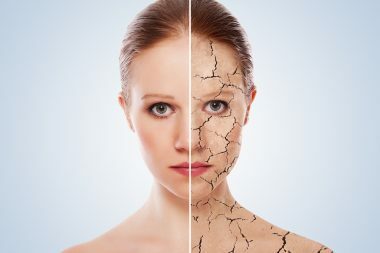 It is possible to over dry your skin and make things worse. Rose water is a mild astringent that has been used for centuries to improve the appearance of skin. Applying a few splashes of rose water can reduce the size of pores, help balance your skin’s pH level, and reduce inflammation or irritation–especially for people with sensitive skin. Rose water is an excellent way to cleanse and soothe skin, leaving you with a healthy glow. Green tea is rich in catechins, a natural compound that works to make skin tighter and firmer. Tea is also rich in antioxidants, which fight the free-radicals responsible for wrinkles, lines, and age spots. Applied topically, it can reduce the severity of acne breakouts, reduce sun damage, and serve as a skin toner. For best results, simply brew a fresh bag of green tea, allow the bag to cool, and dab your face with it. Witch hazel is one of the most widely known natural astringents. While it is sometimes mixed with alcohol, those with naturally dry skin can also purchase alcohol-free extracts. Witch hazel tightens pores, clears away oil and dead skin cells, and provides protection from bacteria and fungi, making it a versatile addition to any beauty regimen. Despite its strong smell, apple cider vinegar is an excellent all-natural astringent, boasting a variety of benefits for your skin. It shrinks and cleanses pores, regulates skin pH, reduces inflammation, and fights off infections. Look for unfiltered, non-distilled vinegar, which should have a rich reddish-brown color. Juices from fruits such as lemons, oranges, and grapefruit have natural antiseptic qualities, keeping bacteria at bay while working to unclog pores, reduce breakouts, and rejuvenate dry skin. Apply freshly squeezed juice to your face and let it set for two to three minutes before wiping it away. You can also combine citrus juice with witch hazel for an even more powerful effect. Mint extract is a common ingredient in cleaners and beauty products due its refreshing aroma and its ability to reduce redness, itching, and irritation. Mint can also be used to improve the evenness of skin tone, and its natural salicylic acid content easily eliminates dead skin cells. The easiest way to take advantage of mint’s benefits is to crush or chop fresh leaves and infuse them in other astringents, such as witch hazel or rose water. Most people are familiar with using cucumbers to reduce puffiness and dark circles around eyes; but they are also a mild astringent with a number of other skincare uses. The silica in cucumbers helps reduce the appearance of fine lines and wrinkles, while vitamin C and caffeic acid soothe and reduce swelling, and alleviate itching caused by rashes or dry skin. Apply slices of cucumber, add them to meals, or infuse them in other astringents to get the most out of a cucumber. All-natural astringents provide an amazing array of skincare and beauty benefits, from fighting bacteria to making skin look toned and radiant. The options above are excellent alternatives to store-bought astringents, and are deserving of a spot in any dedicated skincare routine. What if your skin looks worse after using an astringent? Sometimes things need to get worse before they get better. Think cleaning out your closet…..the mess gets worse before everything is tidied up. Your skin can have that same reaction to a new skin care routine. When you use a product that increases cell turnover you should expect flakiness and some acne in the spots where you were previously prone to break out. When the skin is temporarily looking worse we call it a “purge” breakout. It is all the hidden blemishes popping through to the surface before disappearing all together, ultimately resulting in a smoother complexion. A “purge” breakout should not last long. If it does you need to stop using whatever new product you are trying or reduce the amount or frequency. A standard breakout will be red and inflamed and pimples can pop up in new spots as well as old. Standard breakouts can last for several months. Toners/Astringents What’s the difference Why Does Your Skin Need One? How to Use Them? Harmon Face Values Harmon Face Values 8 oz. Our family always kept Sea Breeze around for using on your face or clearing up a gunky scaly scalp. It is easy on skin, smells nice, reasonably priced and worked great. 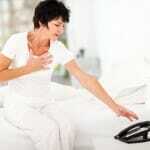 Mobile Phone – Your phone may be breaking you out. We take our phones everywhere and they are covered in bacteria. Bacteria can cause breakouts. We need to get in the habit of routinely cleaning our phones. 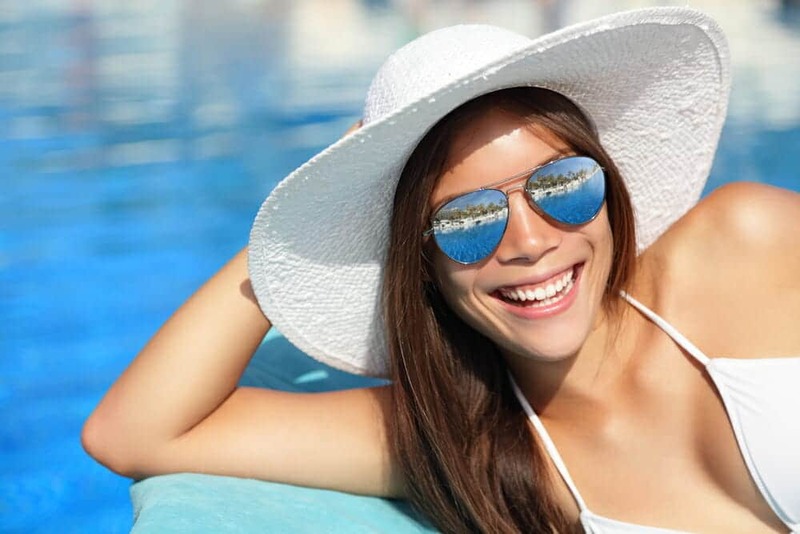 Vitamin D Deficiency – Health professionals have become quite concerned over the amount of people with a Vitamin D Deficiency. The result of a deficiency is a weakened immune system. You are compromised to fight infection. To fix this deficiency get out in the sunshine or if necessary, take a supplement. Probiotics – Most of us add probiotics to our nutrition regime to improve our gut health. But probiotics can disrupt functionality of intestines which can affect your skins health. If you are breaking out you may need to change brands of yogurt. Metals and Minerals in Your Water – Your city or well water may contain metals that are harming your skin health. Metals and minerals can throw off the pH of your skin and leave residue behind that can mix with sweat to cause breakouts. Use distilled water if necessary or put on a shower head filter. Coffee– Yes, most of us can’t survive without our morning cup of “joe”; however coffee can throw off your skins pH. If you are prone to breakouts around your mouth start drinking water or tea that has less effect on your pH. Lack of Sleep – When we don’t get enough sleep our immune system weakens and we are more prone to infections. Set a good bedtime routine and stick to a bedtime. A consistent routine and adequate amount of sleep will improve overall health, even your skin. Make up – If you are using a thick foundation it is likely you are clogging up your pores. There are so many great products on the market it is time to experiment and lighten things up. If you are having breakouts change to a lightweight foundation and cleanse skin more often. Frequently Changing Beauty Products – Your skin will adjust to your skin care regime. That is why it takes several weeks to introduce a new product and see if it has the desired effect. Allow a product a minimum of 3 weeks before you change things up again. Acne Products – Yes, even our solutions can make us breakout. If you suffer from dry skin try a charcoal soap or mask. But beware some things that you think should help could make things worse. Facial Brush – We love these because of the deep down clean but if your brush isn’t cleaned it will grow bacteria and you are just spreading bacteria all over your face every time you use it. Make sure you thoroughly clean your brush heads. what is the actual PH of Astringents, toners and other skin products such as cleansers.